In June 2019, A&W Restaurants will turn 100 years old. There are a lot of stories to be told relating to this iconic brand. Personally, I have fond memories enjoying a mug of root beer and bag of onion rings propped up on a tray attached to our car window. I recently recreated those memories with my family at the Dexter, Michigan A&W, one of the few locations left with carhops today. What does this have to do with email marketing and a visual dashboard? Since 2013, we’ve had the pleasure of working with the A&W digital marketing team on their email marketing program called the Mug Club. In 2018, with steady subscriber growth averaging 5% each month and an average click-to-open rate of 21%, Liz Bazner, Digital Manager and Spencer Barrett, Associate Digital Manager, felt confident to expand their email marketing program and increase engagement even more. Alongside A&W, our goal was to understand where we could fill the gaps and administer relevant subscriber journeys. 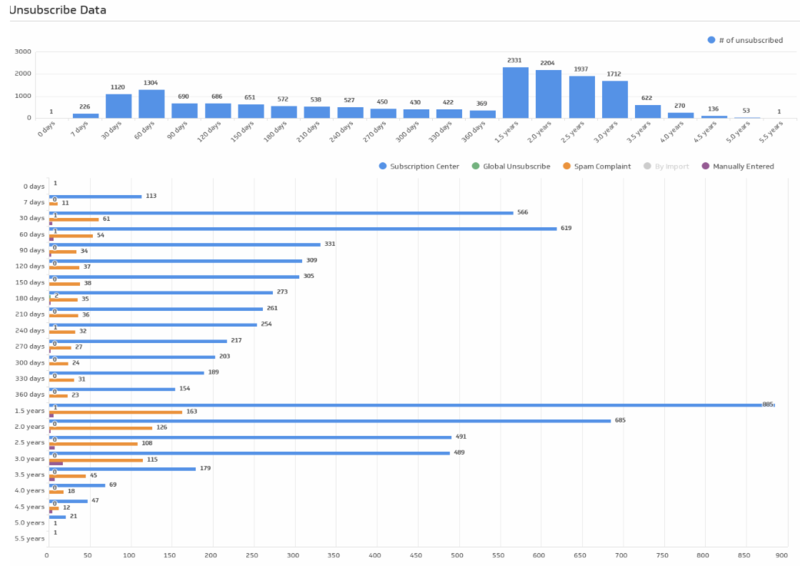 By transforming the unsubscribe data — when, where and how — into a visual bar chart using Klipfolio, a dashboard, and data visualization platform, we could interpret subscriber behavior efficiently. Just knowing when a subscriber would take action to unsubscribe or hit the spam button helped us instantly see where we could improve the program and decrease churn. From this data alone, we validated the reason that an extended “welcome series” is needed to build trust and establish consistency, along with the intention to transition our annual re-engagement campaign to an automated conditional timeframe. It was fascinating to see an uptick in 1.5 years of subscribers taking action with spam complaints and unsubscribes through the subscription center. This visual also clearly depicted some subscribers who had been with A&W since the beginning of their current email marketing program in 2013. What made them unsubscribe? -Liz Bazner, Digital Manager, A&W Restaurants, Inc. Client reporting simplified, in daily bite-sized emails. Our intuition was telling us to reach out with more personal content throughout the year. 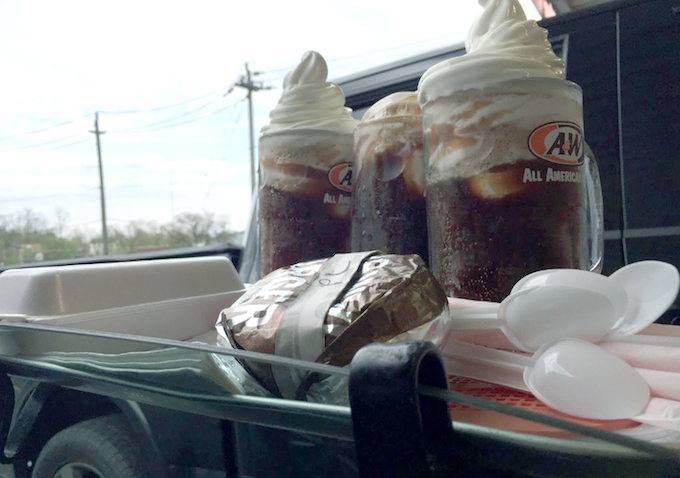 A&W has a loyal following on social media —Facebook, Twitter , and Instagram specifically— that shares their love with memories and photos of enjoying a root beer float. Since email marketing is a highly personal marketing channel and based on our positive social media engagement, we knew we could bring the history and the future to the forefront. 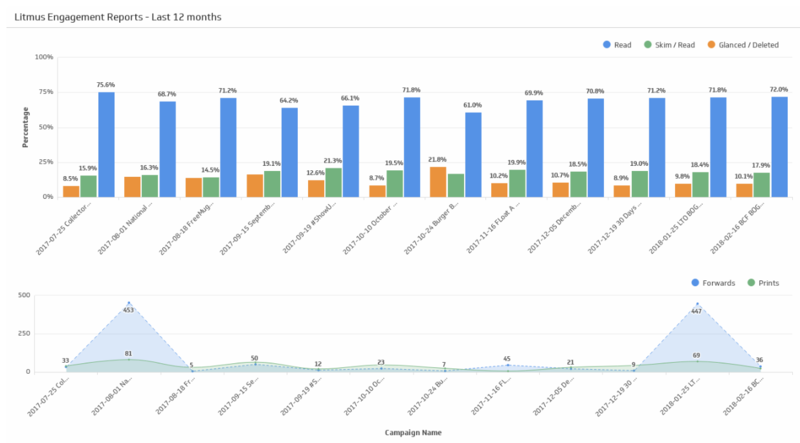 Incorporating advanced analytic data from Litmus, we already observed that 70% of those that opened the Mug Club emails read them, spending over 8 seconds on each. 50% of our audience is viewing their Mug Club email on a mobile device and although the email and coupon landing page are responsive design, having to print a coupon versus showing it directly to the cashier on a mobile device, is becoming more of a challenge. Using a dashboard was one form of listening; our next task was to validate our findings by asking their Mug Club subscribers directly through a brief online survey. The outcome of the study reassured the interest of mobile coupon redemption, online ordering, text messaging and that we need to recognize our subscribers' enthusiasm and loyalty to the brand more often. Besides, we discovered a few pain points that address customer experiences at the restaurant that would not have been brought to our attention otherwise. Tying the incentive back to the restaurant, the reengagement series and online survey resulted in a 14% completion rate. A similar study will be incorporated into our cyclical re-engagement journey at 120-day increments of inactivity to encourage interest and feedback, or to part ways. 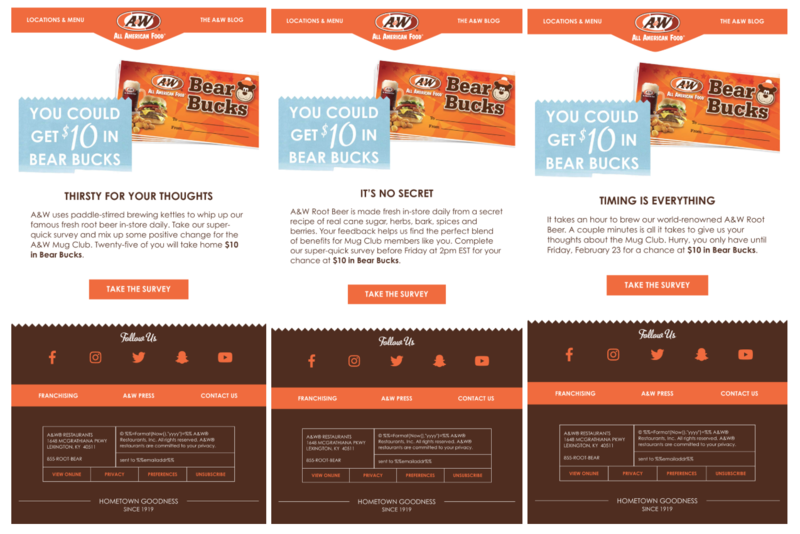 Because of the use of a visual dashboard, data collected from the Salesforce Marketing Cloud and Litmus Creative Platform, one 3-minute survey, internal insight and old-fashioned instinct, A&W has a solid plan to expand their subscriber reach and enhance engagement as they head towards celebrating their 100th birthday. If you love A&W Restaurants as much as we do, subscribe to the Mug Club to watch this story unfold. Lisa Wester is the founder and Chief Engagement Officer of RootedElm, an email marketing agency in St. Louis, MO. When she’s not analyzing data, refining email marketing campaigns and sharing newfound knowledge, Lisa can be found practicing yoga, pilates or in the company of her family, including two active daughters, a marathon-running enthusiast husband, Mutt Messi (who lives up to her nomenclature) and Hermann Tortoise, named Francis. Lisa has used Klipfolio since 2013. You can find her on LinkedIn and Twitter. You can read more about her work on the RootedElm blog titled The Grove.